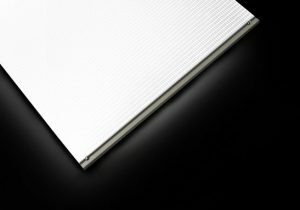 DLC LumiSheet is proud to introduce an addition to our line of LED light panels: new LumiSheet Flex. This backlight is incredibly thin, lightweight, and flexible. Already making waves in retail and architectural design, LumiSheet Flex is economical, easy to install, and opens up design options that weren’t achievable until now. DLC’s new LumiSheet Flex can make a big impact on retail and architectural design, build, and installation. 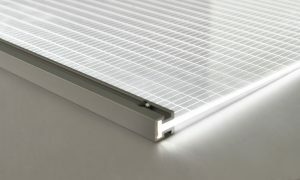 Here are some of the top reasons why customers are specifying this 2 mm panel. It’s easy to include curves, twists, and turns into LED backlighting with LumiSheet Flex. This panel can be curved on site to take on the shape its needed to. Streamlined retail and architecture design sometimes requires an incredibly slim profile, where every millimeter counts. LumiSheet Flex, at 3/32” (2 mm) thick, with a 3/8” (9.2 mm) extrusion, fits in places where no other panel can. LumiSheet Flex is very light at 0.5 lbs / sq ft (0.23 kg / sq m). This low weight reduces shipping expenses. DLC manufactures it locally in the USA and Canada, further slashing customers’ shipping bills. It finds the perfect fit, even on not-so-perfect surfaces. Because it is so flexible, this panel is forgiving of slight variations in architecture and housing. 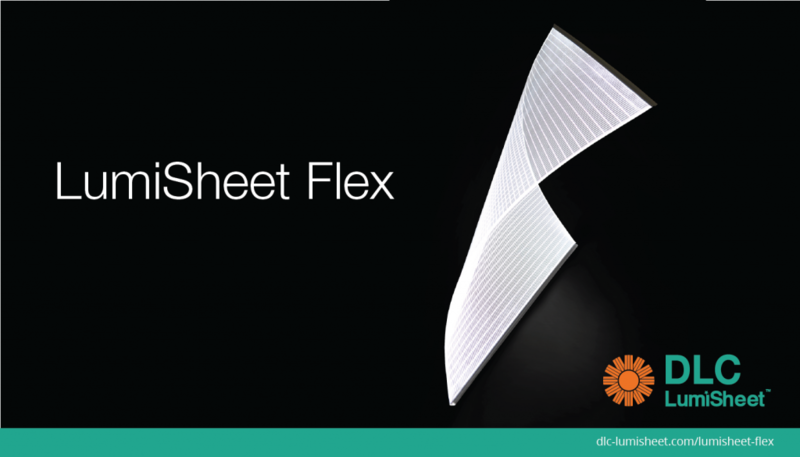 Further, lightweight LumiSheet Flex requires less effort to lift and install. Designers don’t need to sacrifice light quality to gain flexibilty. LumiSheet Flex offers the even, beautiful, bright light you expect from the LumiSheet name. Learn more about LumiSheet Flex here.